As part of the "Transforming for Mission" process that our congregation has made commitment to follow, everyone is encouraged to attend a new Sunday Bible Study beginning at 9:30 am on February 10th. How many times in your life have you said: "I wish I knew how to better share my Christian Faith..., tell others about Jesus... invite someone to church???" This class led by Pastor Harold will help each of us to do these very things. Whether you are a long time member, a new Christian, or even someone who is simply interested in what the Christian Faith is about, this class will teach us "keys" to sharing the faith with others and helping all to know more about what Jesus has done for all of us, so all of us can be part of God's family forever. 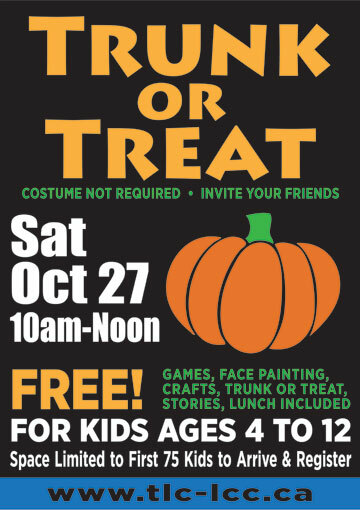 Coming to Trinity on Saturday, October 27 from 10am to Noon. Invite your friends for games, crafts, cool food and "Trunk or Treat". Space limited to first 75 kids to arrive and register. 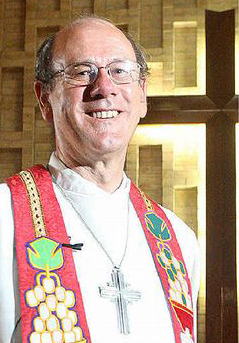 Trinity is pleased to welcome Rev Noel Noack, President of the Queensland District of Lutheran Church of Australia, as our Guest Preacher at the 11am worship service on Sunday, September 23rd. Rev. Noack brought greetings from Australia and based his message on Mark 9:30-32: "Jesus is Christ Crucified... But Do We Understand?" To listen to Rev. Noack's message, click here. At the end of service, Rev. Noack described the structure of the Lutheran Church of Australia. One interesting fact is that Lutheran Schools in Australia are very popular, and the student population outnumbers the entire membership of Lutheran Church of Australia. It seems Lutheran Schools in Australia are recognized for their high quality of education. To listen to Rev Noack's greetings at the end of the service, please click here. Martin and Joan Weber will give a presentation on their work as Bible translators for the Kwanja language in Cameroon, West Africa. Martin and Joan are missionaries for Lutheran Bible Translators of Canada and have been in Cameroon since 1982. They completed the translation of the New Testament in 2006, and their work continues as they translate portions of the Old Testament and establish a literacy curriculum to teach the Kwanjas to read in their own language. Everyone is invited to the presentation and see a slide show of their activities in Cameroon. Tuesday, September 18th at 7:30pm. 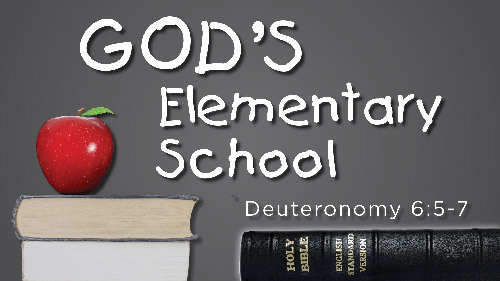 Pastor Harold mentioned in his sermon on September 9th, that the church is God's Elementary School. To the right is a list of all the Bible Class opportunities at Trinity. There is a class and time for you! Please join us as we learn more about mankind's relationship with God and His love for us. In the past, Trinity would change the Sunday morning worship time during the summer. Beginning in 2012, the Sunday morning worship service will remain at 11:00am year-round. The Sunday afternoon Worship Service in Mandarin remains at 3:00pm. In order to better meet the needs of our congregation, the Board of Education is conducting a survey for all families with children up to 18 years of age. Responses are required by Sunday, August 5th. Please take the time to complete the online survey by clicking here. Thank you. July 1, 2012 – After a year of moving and re-organizing, sorting and culling, the library is now open in its new location next to the main entrance. You are welcome to borrow any of nearly 1,500 books, DVDs and VHS tapes for up to a month at a time. We simply require that you provide a current email address and/or contact phone number. In addition, the entire Library Catalog is now online! Simply click on the "Library" link in the "Main Menu" at the top-left of this page and follow the instructions. All members and visitors are welcome to drop-by to browse and take time to relax and enjoy reading the books. May you continue to grow in your Christian faith! 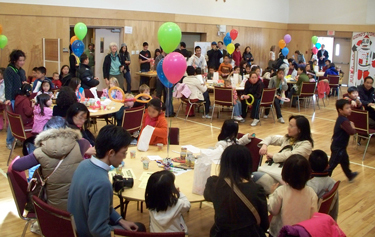 It is also the date of our Annual Joint Worship Service at 11:00am in both English and Mandarin! Followed by our Congregational Photo and "Potluck" Picnic. July 1 is also the first day that St. John's Richmond Church will be worshipping in our building. Their service will be at 9:00am. St. John's members will joining us for the picnic. So come on out and meet and greet. This Canada Day will be an extra special day as we celebrate with other members of the Body of Christ. And, as always, please invite your friends, family and neighbours to the picnic! We have lots of hot dogs to share! Lutheran Church-Canada President Robert Bugbee presented the same sermon at three District conventions across Canada, including the Alberta-British Columbia District Convention which took place in May 2012. He spoke of how the world usually says and does things that are not what God desires, and how this world, and the church, needs more agape love. He challenges all of us to give more "agape love", just as Jesus did. Click here to watch and listen to a video of his 20 minute sermon (as presented at the Convention for the East District of Lutheran Church-Canada). Baling Days 2012 was a resounding success with many items gathered and shipped to the Chinandega Mission in Nicaragua. Click here to read more. The Retirement Service for Rev. Peter Tu will take place on Sunday, May 6th at 3:00pm. Pastor Tu came to Trinity as a vicar (Student Pastor) and started Trinity's Chinese Fellowship Ministry over 20 years ago. Please plan to attend his retirement service with refreshments to follow. We warmly welcome Pastor Paul Roggow and family! Pastor Raggow will be working in the Metro Vancouver area as a missionary for Lutheran Church-Canada. His office will be based at Trinity. Installation service will take place on Sunday, April 22 at 3:00pm at Trinity Lutheran Church. Please come and help us celebrate! New schedule: Free Weekly ESL classes at 9:30am and 4:30pm on Sundays. If you live in or near Richmond, this is a great opportunity to improve your English while reading stories from the Bible. Invite your friends to these drop-in classes. Everyone is welcome to come. Click here to read more! This is a Family Class for youth and parents as youth prepare for Confirmation. This class is an overview of the entire Bible and Luther's Small Catechism. Upon completion of the class, the young confirmands confirm the faith they received at baptism and become Communicant Members of Trinity. Parents who do all the homework along with their son and daughter have been greatly enriched in their understanding of the Bible. Join us for the next class! Contact Pastor Harold so he can prepare materials for you. Do you know what two pieces of material, some fiber fill and a lot of "chatter" can produce? A BEAUTIFUL QUILT! The Ladies of Trinity make many beautiful quilts, have a lot of fun making them, and get much satisfaction giving them to needy persons... whether their need is for a quilt to keep warm or a need to know someone cares. Quilts are distributed in downtown Vancouver, Wagner Hills Farms, BC Children's Hospital and Richmond General Hospital. Have some fun and join our group! All ladies are welcome!!! For Fall 2011, we meet on the second and fourth Tuesday of each month at 9:30am. See you there! Teens (and recent survivors of "Teenhood"): check out the awesome new FIVE14 website with edgy videos, great music and posts from fellow "teens" across North America. Each month a new band is featured along with their music. Keep checking the Five14 website for updates! Many thanks to all those who came to the fundraising breakfast on Sunday, September 4 or who donated in the offering plate. The total amount raised was $1043. The first $500 was matched by FaithLife, then the entire amount is matched by the Canadian Government. In total, $3086 in aid is being sent to Africa. Thank you for your support during this time of need and helping bless those who are suffering in the Horn of Africa with Christ's love. 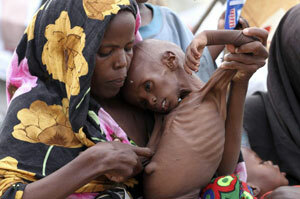 UPDATE: Sept 30, 2011 – CLWR reports that they received over $500,000 in donations for African Famine Relief that will be matched by the Canadian Government. Although the deadline has passed for matching government grants, CLWR is still accepting donations as the need to help the hungry feed themselves and their families continues. We were surprised during the morning worship service on July 24, that the ceremony for Vicar to receive his diploma and degree to mark the successful completion of his four years of study to become a pastor, took place at the church. Due to costs of the Vicar's family travelling to St Catherines, Ontario, to be part of a ceremony there, a representative of the Board of Regents, Rev Dr Wlliam Mundt, came to Richmond to perform the ceremony. Congratulations, Vicar Zhang! On August 28th, Vicar will be ordained and installed at Trinity. Please join us at 3:00pm.